On the digital side of the house, which means my fashion / beauty photography side I did a shoot this past weekend for a fashion magazine. Full creative team was involved. 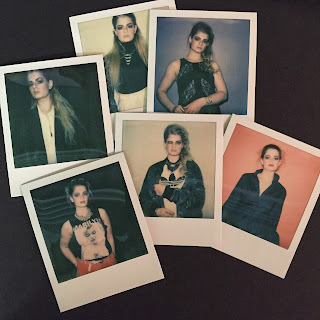 As always I decided to pull out my trusty Polaroid Silver Express and a pack of Impossible Project 600 Color and take a shot of each look. This is Gen 2.0 film so it's still a bit creamy and soft focus, but I still enjoy the process. If nothing else I get to dazzle the young models by using a camera older than they are. Just for giggles, instant giggles.